Bicycling Magazine interviewed me to get the real details behind my concept of ‘happiness is fast’. I break down achieving ultimate happiness into three different levels, ‘the pleasant life’, ‘the engaged life’, and ‘the meaningful life’. In 2016, Lin-Manuel Miranda accepted the Tony Award for Best Score and his speech consisted of a sonnet that has remained in my thoughts since that day. “Love is love is love is love is love is love is love is love,” those words describe everything you are about to read. In collaboration with Garneau, I designed a Beyonce Kit. Heidi Myers, Marketing at Garneau and my personal friend, and I designed this kit last spring to launch our custom kit campaign with the Clif Pro Team. We put the kit on sale with a goal to sell 12 pieces to break even. The Beyonce Kit gained a lot of traction and we ended up selling almost three times the expected amount. Garneau also created a Beyonce nordic ski suit that I will be wearing in my XC ski and biathlon races this winter. Also, Bicycling did a nice little article on it online. 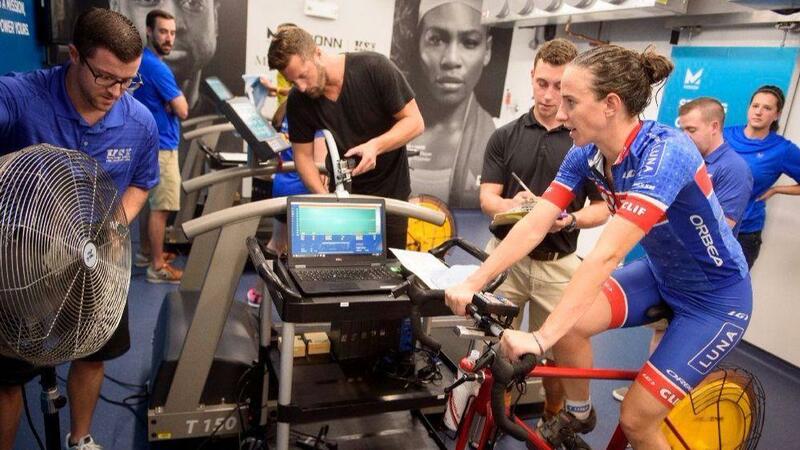 I joined two endurance elite runners with Camelbak at the KSI heat lab to be tested to see how my body reacts to very hot conditions. This was a great opportunity with Camelbak to get more information on how I can be efficient and safe racing and training in the heat. I did a 1 hr tempo effort on the stationary bike in 95 degrees and high humidity. Things absolutely heated up. My body temperature reached 103 degrees farenheit and I lost almost 1.2 liters of water. Wow. The local newspaper, the Hartford Courant, covered the Camelbak event with print and video. You can see that I am interviewed post test and very hot. 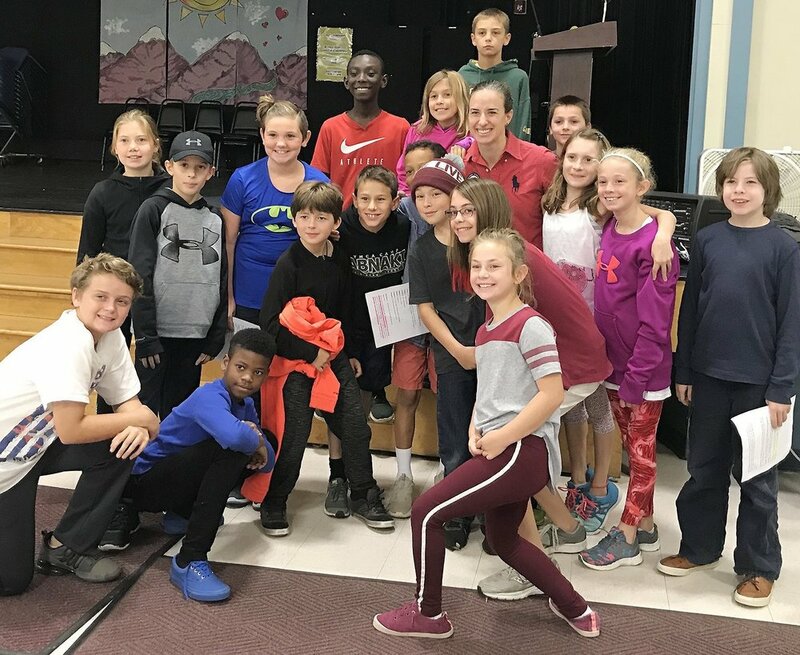 I visited a local elementary school in Essex School district, VT to talk to a crowd of over 200 school kids about what it means to be a professional cyclist and a two time Olympian. I talked to them for 45 minutes, showed them a slide show, and they were captivated. It's the best school visit I have done to date. I could have been there all day answering questions, but the kiddos had to get back to class. L.L Bean and I have been working together for three years now. I am an L.L Bean trail blazer and they have made a push to include real athletes in their catalogs. So, this is the fourth catalog photo shoot I've done with them. This one I got to do with my sister, Sabra, which was so much fun. Every photo shoot is a real and authentic adventure and this one was no exception. We traveled to the middle of nowhere in northern maine and stayed at a lodge that you can only get to by hiking or paddling in. We hiked the mountains around it for sunset and sunrise photo session. It was an incredible experience. I was featured in Middlebury Magazine! 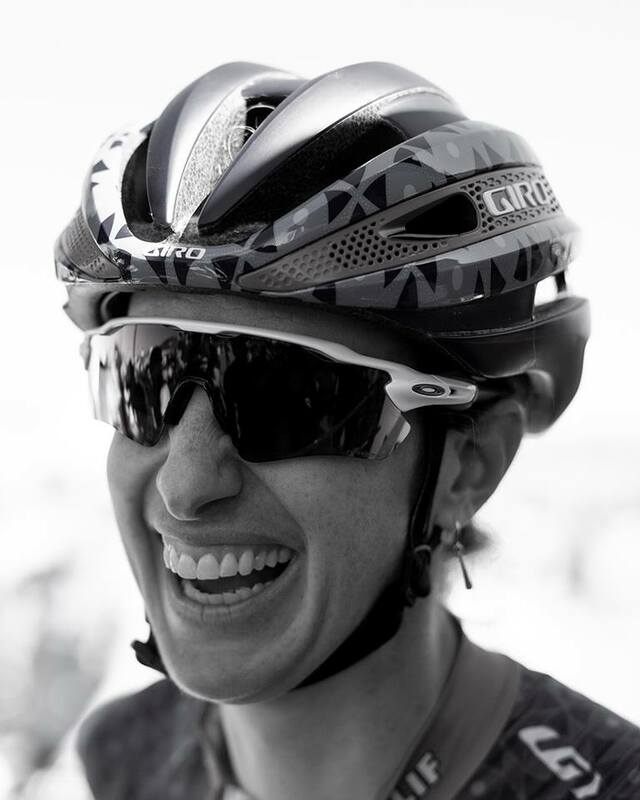 Lea Davison Is the Most Badass Mountain Cyclist on the Planet It’s a bold statement, sure. But once you get to know Lea Davison ’05 like we do, we think you’ll agree.